Buying commercial baby food can add up in your family’s weekly grocery budget. Especially once your baby is eating a lot more “real” food at each meal. 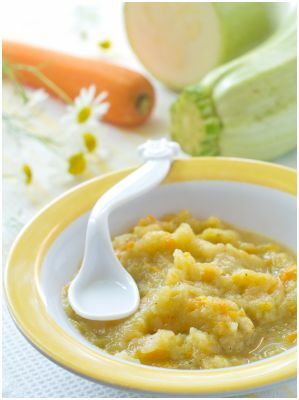 Think you can’t make your own baby food, or you don’t have time to do it? Here are a few ideas to get you started and stretch your grocery budget a bit farther now that baby can eat “real” foods. Congratulations! Your baby has just reached another milestone! You’ve just left the pediatrician’s office with your 6 month old bouncing baby boy, and at this appointment the doctor has said your son can now start on “real” food. Ahhh, yes, finally. Maybe now you’ll get a little more than a 2 hour stretch between nursing sessions or maybe he’ll start sleeping through the night (did not happen at my house). So you’re all excited and stop at your favorite supermarket on your way home to buy some of baby’s first “real” foods. You see sweet potatoes, squash, bananas, peaches, carrots etc. You buy one of each, which totals about $10-$12 depending on where you shop. The next week you’re at the store again to buy baby food, and again spend $10-$12. Feeding your baby is going to be expensive, and this is just the start of all the yummy foods he’s going to try for the first time in the next few months. However, feeding your baby doesn’t have to be expensive. Have you considered making your own food for your baby? When my boys were babies I made almost all of their food. I felt it was healthier for them and also much cheaper. Rather than paying upwards of 60 cents per serving I was spending around 10 cents per serving. This was before I was a coupon shopper, so now I know the per serving price would be a lot less. In the summertime, watch for fresh foods to be less expensive. Well, here are a few ideas to help get you started making your bouncing baby boy (or girl) their own food. I usually did this on Sunday afternoons, and I would rotate the foods I prepared each week. I would make enough of one kind of food to last me about a month. 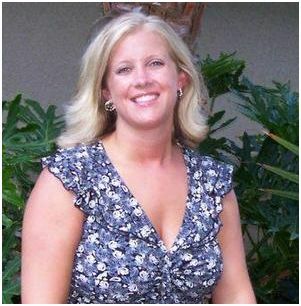 Shannen Bayless writes and finds coupon tips for Fatwallet.com‘s blog. She’s also a loving mom of two and enjoys every minute she can spend with her boys. We made food for my 4th (wish I had thought/considered it with our 1st! ), and it was super easy and FUN! And yes, SO much cheaper!! Thanks for this! I was planning on trying it, so I appreciate the links!